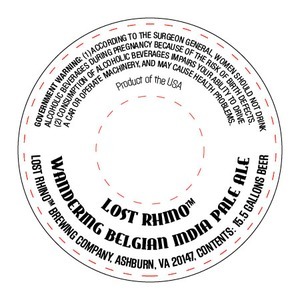 Lost Rhino Brewing Company is brewed by Lost Rhino Brewing Company, M.a. Hagerman Brewing Company, LLC in Ashburn, Virginia. This brew is served on tap. We first spotted this label on June 13, 2013.